Summer is here and we all want that beautiful glow that goes with it… without the skin cancer or sunburn. I feel ya! Heck, I have two little black babies who just have to step outside and they have the most beautiful tans meanwhile mommas wearing a big hat as white as a ghost. It’s rough. Thank goodness for bronzer! No worries! 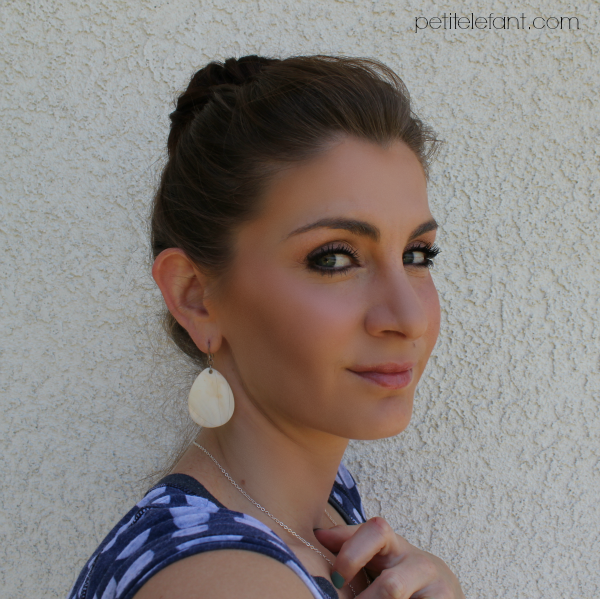 Today I have a bronzed summer makeup look for you. It’s rather easy and with a few steps after your foundation, you should have that beautiful summer glow you’re looking for. After you’ve applied your eye makeup and foundation, there are a just a few more quick steps for beautiful bronzer. You’ll see, it’s simple. Step one is optional, maybe fun to rock for a girls night out or date night or any special evening. Add a little sheer shimmer above the cheekbone up and out to the temples. Not too much, just enough to add a shimmer. 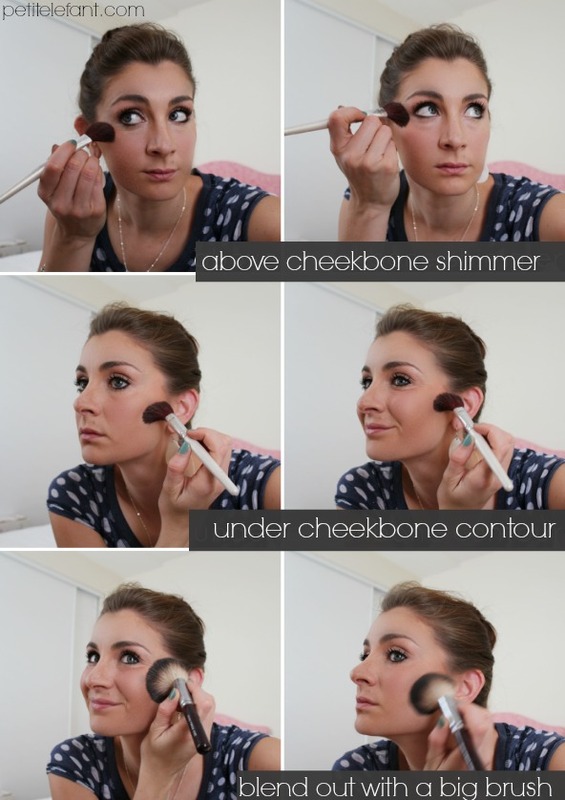 Step two: Add your bronzer under your cheekbone up to your hairline along your temples and hairline along your forehead. It’s framing your face and giving you that overall glow. Step three: Take a big brush with no makeup on and blend it all it. If you need to add a little translucent powder to blend, that works too, but make sure it’s all blended out! There you have it! Very pretty and pretty easy! It’s also a great way to contour your face without all the heavy duty makeup of contouring. You can also feel free to wear your bronzer as blush, it works perfectly during the summer!